Dinosaur Comics - March 20th, 2007 - awesome fun times! 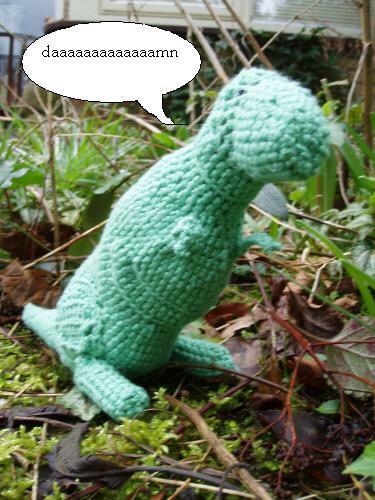 March 20th, 2007: Here are some neat Dinosaur Comics stuff that people have made! Christina and her friends Yoz and Preeya have realized a long-standing dream of mine and made a Dinosaur Comics whiteboard. It is WALL-SIZED and so awesome. 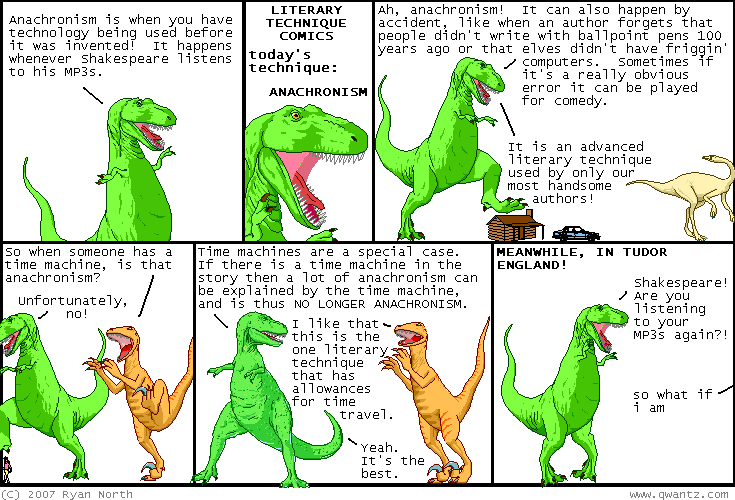 It is, as Christina says, an infinitely refreshable Dinosaur Comics mural. So cool! 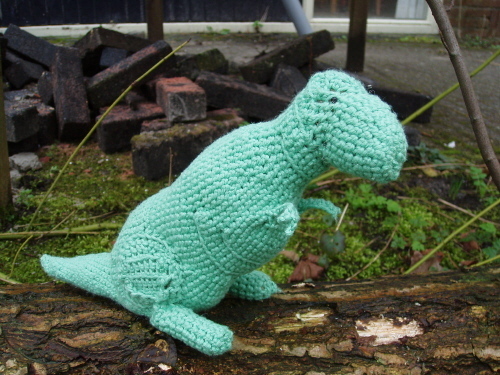 Basje from the Netherlands crocheted a little T-Rex who is soft and cuddly and adorable. Aww! 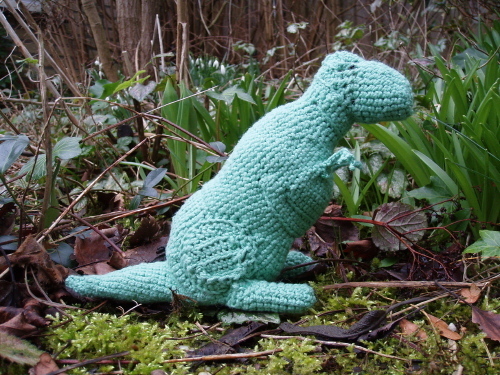 I want one and I can still be manly and want a stuffed animal. THIS IS THE NEW DEFINITION OF MANLINESS. Thank you Basje!